SaaS Training: Isn’t It Time to Get Your Cloud On? It’s a SaaS world and you’re just living in it. No wait, you’re doing business in it. The upside is enormous. The global SaaS market is forecasted to reach $71.2 billion in 2018 according to Crozdesk’s SaaS and Cloud Startup Report 2018. While SaaS solves challenges for users that boxed software never could, it creates vexing new challenges for those that create and sell it – namely churn, the rate at which customers cancel their subscriptions. The simple reality is that clients that don’t know how to consistently glean value from your software, won’t. They’ll cancel. This logical tenet needs no explanation. Today, we’re going to assume your product is solid and was implemented as needed. We’ll assume the customer wants to adopt the product and doesn’t have bug-type issues. And that leaves us with onboarding, or more broadly, training. Training is your number one remedy to churn. Customers must be trained quickly to understand your SaaS application and put it to use. Effective learning is fostered by an interaction between the teacher and student. Hands-on training can be engaging and fun and therefore, more effective. Training systems and processes should be easy to put in place, execute and manage. The ability to quickly change, upgrade and roll-out new versions of training is imperative to keep pace with your evolving application. Surely, self-study training programs that rely entirely on recorded courses or video tutorials are important parts of a company’s SaaS training offering, yet they come up short on some of the hallmarks of effective training outlined above. In addition, a simple webinar or self-study course may suffice for teaching basic functions, but training customers or partners to master complex SaaS solutions calls for blended learning. Live, instructor-led training is highly effective for learning complex SaaS applications. And the cloud-based delivery makes it economically feasible. Virtual instructor-led training (VILT) enables SaaS companies to provide interactive remote training at scale. The effective virtual classroom offers an instructor/student experience much like a physical classroom. Research demonstrates information acquisition is most effective when enhanced by an interaction between teachers and students and amongst students themselves. This is especially true for advanced learning situations where students need to rapidly assimilate complex information. With VILT programs, teachers can see what students are doing and assist when appropriate. Teachers answer questions and interact with students in real time. Students can interact with each other. The live element of the training ensures the current version of the software is being taught. The added value of interactive hands-on training also brings SaaS providers important monetization opportunities as learners are often willing to pay more for this mode of learning. 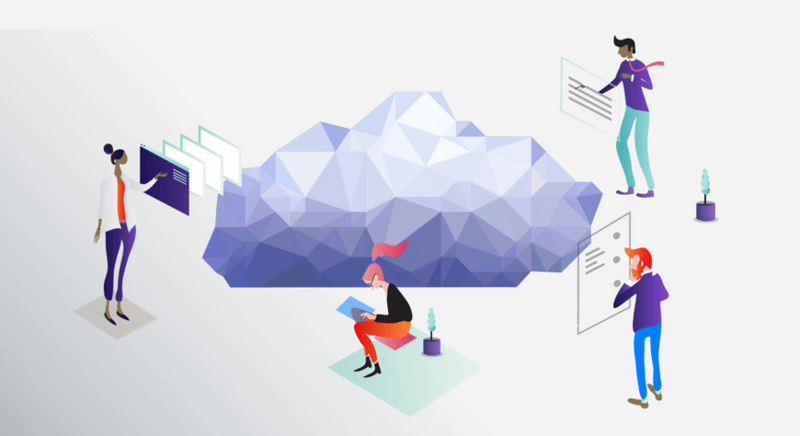 You might think that since your SaaS application already resides on a generic cloud platform, perhaps that infrastructure alone is sufficient for delivering training as well. Yet, this approach is hardly ideal for SaaS providers focused on delivering interactive training effectively and efficiently. The smarter approach is to work with a turnkey virtual training solution that has expressly created the features and automated workflows to facilitate SaaS onboarding and training. A ready-made solution eliminates the need to enlist your IT team (and secure the resources) to design, build and maintain the desired features. Highly effective training can create an “I want you, I need you, I love you,” relationship. You want that. You need that. As a SaaS vendor, you understand the critical role training plays in the customer success equation. Therefore it’s in your interest to look for the best platform that will enable you to execute with processes you need to create an excellent user experience and optimize your efficiency and return on investment. The right virtual instructor-led training solution will not only help you maximize customer retention but also enable greater revenue streams from your training services.